The Department of Trade and Industry (DTI) and the Department of Information and Communications Technology (DICT) are turning to a Silicon Valley-based startup to help the Philippines cope with the threat posed by artificial intelligence (AI) on the country’s business process outsourcing (BPO) industry. 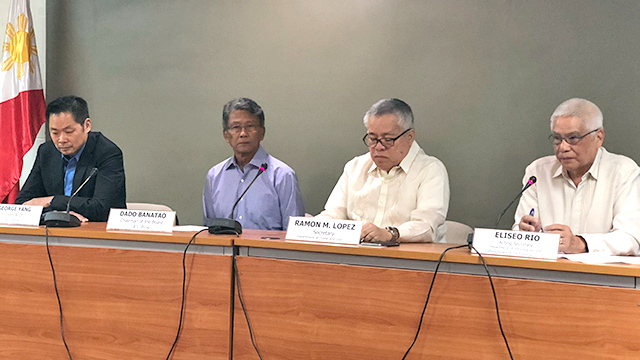 In a press conference on Wednesday, May 23, the DTI and DICT announced they are partnering with AI Pros, an artificial intelligence startup backed by Filipino-American technology pioneer Diosdado Banatao and Henry Sy Jr., co-vice chairman of the SM Investments Corp., the listed holding company of the SM Group and son of the country’s richest person. The partnership aims to “train Filipinos in using augmented intelligence as a solution to the impending threat of artificial intelligence on the jobs in the information technology-business process outsourcing (IT-BPO) while encouraging investors and operators to create more socially-responsible business process outsourcing in the Philippines,” the DTI in a statement. Considered a major pillar of the Philippines economy, the BPO industry employed some 1.3 million mostly young Filipinos and generated about $25 billion in revenues in 2016. However, it also under threat from the rise of robotic process automation and cognitive agents, which cost about a third of the wages of full-time offshore employees. These AI-powered technologies are seen to displace huge numbers of BPO workers by 2025, according to a survey by the Pew Research Center in the US. Founded by Canadian-Filipino computer engineer George Yang (no relation to McDonald’s Philippines master franchise holder with the same name), AI Pros has developed what it calls augmented intelligence that combines AI technology with assistance from a human agent. AI Pros’ voice-based natural language software can speak with customers using spoken English, and can be used to pitch them a sale. The Filipino agents monitor the calls and intervene when the software needs help figuring out what the customer needs. In field tests, AI Pros’ technology outperformed American call center agents in selling expensive cruise packages and magazine subscription to US customers. It achieved these results despite relying on employees who failed to get traditional call center jobs because their spoken English wasn’t up to par with industry standards. By working with AI Pros’ software, these agents were able to field and monitor two to three simultaneous calls, greatly improving their productivity. According to a call center agent who took part in AI Pros’ field trials, a version of augmented intelligence technology, Virtual Partner (VP), helped her meet her sales targets and she eventually became the center’s top performer. "VP helped us a lot, especially with the grammar. As I said, I'm not good in grammar but with the VP, it's perfect," said the call center agent in a video clip provided by AI Pros, according to an article published by Forbes Philippines magazine in 2016. A college graduate who used to help her parents run a stall selling pork at the public market, the agent previously failed to qualify for a call center job because of her poor spoken English. Yang said the success of AI Pros’ augmented technology in field trials implies it can potentially help Philippine-based BPOs survive the AI threat by attracting call center jobs still based in the US and Europe to move to the Philippines instead. He estimated the numbers could be large enough to replace the thousands of low-value jobs that will be eliminated by automation. He said that AI Pros’ augmented technology solution could pave the way for so-called “impact sourcing”, making it possible for BPOs to tap relatively unskilled people especially in rural areas. Apart from the technology’s potential to help BPOs cope with the AI threat, Philippine officials say it can also make the industry more inclusive. “We will train and enable our workforce, regardless of their background and experience, to use (augmented intelligence) to perform smarter and complete difficult tasks, and help them move up the value chain,” said Lopez. He said the DTI will provide incentives to BPO companies that adopt an inclusive business model, which it calls “socially-responsible BPO,” and hire people from some of the poorest areas in the countryside. “Operating in rural communities with high poverty rate will give BPO companies an opportunity to lower their labor costs while providing meaningful employment,” explained Rafaelita Aldaba, the DTI assistant secretary who is overseeing the agency’s inclusive innovation program. DICT Secretary Eliseo Rio said his department will aim to “supply a fast and inexpensive internet connection for BPO operators located in the countryside.” He added that the agency’s 4,000 technical education centers nationwide will be mobilized to assist the industry in recruitment and training. Banatao said the country should build up its capability in AI to be able to adapt to the challenges posed by the new technology, warning it is not enough to rely on imported products and software. “We should have our engineers do this. The whole country can learn more by doing this ourselves,” said Banatao, who developed some of the basic chips found in most desktop and laptop computers. He criticized the country’s largest conglomerates for not investing enough in research and development to be able to build basic technology products. “It’s really shocking. It's amazing that we have all kinds of large corporations that can't even build a single chip or a computer from scratch. I don't understand it,” he lamented.